The 2011 LA Auto Show doesn't officially open until tomorrow, but Inhabitat raced over to the press preview yesterday to witness Honda's all-electric 2013 Fit EV debut. Unlike the gasoline Fit which has been on the market for several years, Honda's initial foray into the all-electric vehicle line is bound to turn heads. Designed specifically with city peeps in mind, this handsome 5-seater has a 20kWh lithium ion battery, 3 driving modes, and a smart phone app that keeps a watchful eye on battery levels. More deets and amazing pics are available just after the jump! Using the same motor as Honda’s FCX Clarity fuel-cell EV, the Fit EV has a 123 mile range in the city that blows its competition, including the Nissan Leaf, right out of the water. Hooked up to a 240-volt circuit, a fully sapped battery can be charged in just 3 hours, according to Honda. Highway miles slump to 95, but this hatchback is definitely the ideal urbanite runaround. Honda plans to roll out its Fit EV lease in California and Oregon next summer, while 6 major east coast markets will have to wait until the following year. The MSRP on this ride is $36,625 and Honda expects the lease payment to run at roughly $399 per month. Stay tuned for other news from this year’s LA Auto Show as Inhabitat continues to inspect the electric scene! 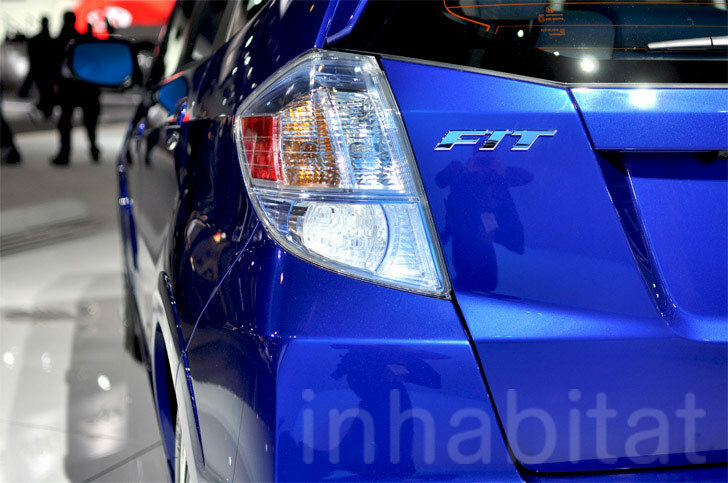 Honda's gasoline-powered Fit wasn't much to write home about, but its newly unveiled Fit EV definitely is. 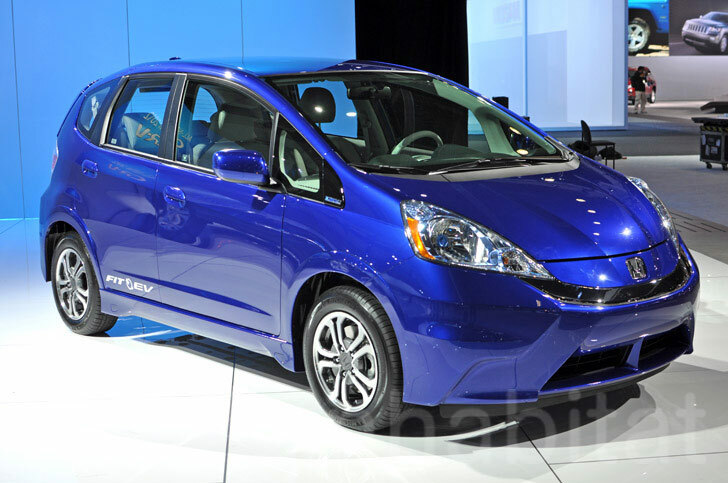 EV drivers in California and Oregon will be able to lease the Fit EV as early as summer next year, but East Coast folks will have to wait until 2013!